I am thrilled to be part of a brand new CrowdJustice campaign, launched today, aimed at shining a light on the crisis in the criminal justice system. 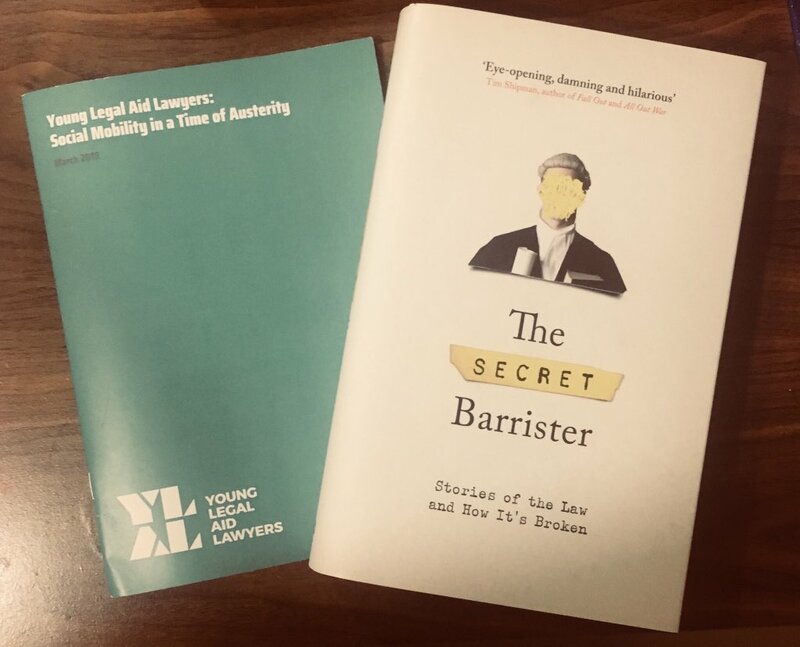 The Criminal Bar Association and Young Legal Aid Lawyers are asking for pledges to raise funds so that every single Member of Parliament can be sent a copy of Stories of The Law and How It’s Broken and a copy of the Young Legal Aid Lawyers report on Social Mobility in a Time of Austerity. The frightening reality appears to be that too many of our elected representatives are oblivious to the parlous state of our under-funded, under-resourced criminal justice system. This campaign hopes to change that. For my part, I shall be donating royalties raised by this campaign to the wonderful Bar Pro Bono Unit. This entry was posted in Lawsplaining, Legal Aid, Politics. Bookmark the permalink. I’m in N Ireland; we have a common law system, though there are differences from England and Wales. I don’t know if the legal aid payments are the same here; are there differences in Scotland? My MP is a Sinn Féin abstainer; she’s unlikely to be much interested in what happens ‘across the water’. What makes you think, the Government is remotely interested in justice ACTUALLY being done? After all that costs money, which as we all know, is deemed to be in short supply. As long as justice is SEEN to be done, and it doesn’t cost too much, then I’m sure they’re perfectly happy?